My truth endures forever, says the LORD. I cannot lie, and I cannot change. My truth cannot be mixed with anything that is a lie. It is pure, for My Word is pure and holy. It cannot be mixed or tainted. I will watch over MY WORD to perform it. I will do it for the honor and glory of My OWN NAME! Trust that I AM the WAY, the TRUTH and the LIFE, always. You do not have to look for the way. You do not have to seek truth. You do not have to find a path of life. JUST LOOK TO ME, says the LORD. For when you will seek ME, you will find Me, when you seek for Me with all your heart. Then you will find the right and only WAY. Then you will have My light on that path of righteousness. You will have the TRUTH, and KNOW the truth, and it will always set you free, so that you can walk in liberty. My TRUTH will never restrict or bind you. You will have abundant, everlasting life in your sojourn, as you seek Me. For your life is in MY hands, that created and formed you for a purpose, and you will not have to seek for anything, but ME, says the LORD. Only Your Truth Lord can set free. Amen. 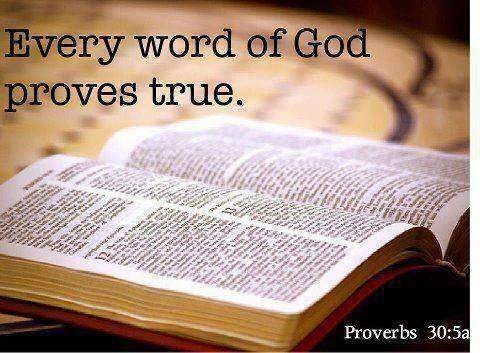 Lord, your word is yes and Amen. I trust in your words. Thank You, Lord Jesus!! Hallelujah and Amen!! !